It's been a few weeks since I posted one of these, but I've been reading and reviewing all along so I have lots to report! This past week, I finally finished Summer at Willow Lake by Susan Wiggs, It felt like it took me forever, and it wound up being okay, but not great. I may revisit the series in the future, but this one was long, and I think I need a break. 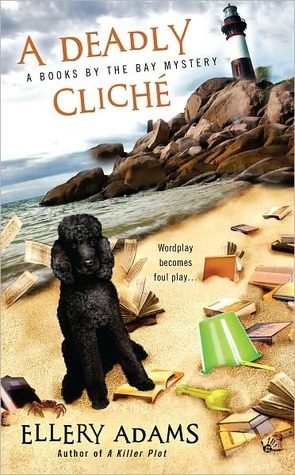 I also finish reading A Deadly Cliche by Ellery Adams.This book exceeded my expectations. It was well-written (on the order of the Cat Who books) and there were a number of plot points that caught me by surprise. I don't own the next book of the series, and I have other books that I do own waiting for me to read them, so I'll probably take a break for a bit, but I know this is a series I want to continue to read. I also borrowed two of James Patterson's Bookshots from the library. The romance I selected was way too sexually explicit for me. The other title, Killer Chef, is still waiting to be read, and I hope it's better. I love the concept of the series, even if I don't like the content of some of the stories. Finally I continue to make slow but steady progress on Coughing in Ink: The Demise of Academic Ideals by Philip Lawler. When I last posted, I thought I'd have it done in a few days, but I got distracted by other things, including a dead laptop and a deadline for my own book, and only got back around to it yesterday afternoon. I'm more than halfway through now, and I like a lot of Lawler's arguments, so I will definitely finish, but I'm not going to guess at when that may be. I was initially going to read the entire book in order, but then my sister told me that only the short stories in the first part are really worth it, so I decided to make them part of the challenge. This story is the last of the Kinsey section of the book, and it was a bit disappointing. Kinsey has learned that one or the other of a pair of brothers has committed murder, and she knows that one always lies and one always tells the truth. Based on this information, she must figure out who is the killer. This kind of logic puzzle was a bit of a cliche, and the story didn't bring anything new to it. I sincerely hope the others are better! My husband had me listen to a couple of stories from this book in the car, and I liked them so much, I decided to include the ones I hadn't heard yet on my list for the challenge. This story, about a physically disabled woman and her sister who are raising an adopted child together, reminded me a lot of Flannery O'Connor's work, only perhaps not as dark. I wrote my English thesis on O'Connor's Wise Blood and included references to many of her short stories, but there are still a good number I have not read. This is one of her more violent and disturbing stories, and I actually wasn't sure I even fully understood it. (I wound up watching some commentary on YouTube that helped.) As I read, I was reminded of how frequently she uses cars in her stories, but the religious symbolism was not as cut and dry as in many of the other stories. I finished The Inquisitor's Tale, and though I had high hopes, I just really disliked it. I've been working on fine-tuning my review. I hope to have it ready to post by the end of this week. I read Ghost by Jason Reynolds around the same time and loved it. It reminded me a lot of Chris Crutcher, but it felt more believable. I'm looking forward to the rest of the series. 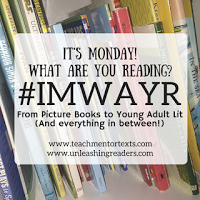 This month, my Old School Kidlit Reading Challenge is focusing on childhood favorites. 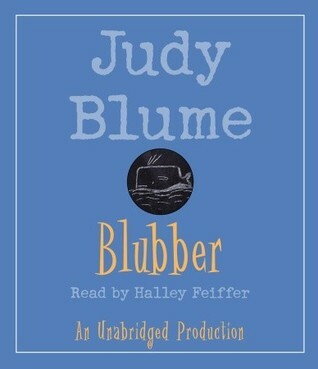 So far I have read Bunnicula and listened to the audiobook of Blubber by Judy Blume. I was amazed by how much I still enjoyed Blubber, and I thought the audio production was just about perfect. I also found The War Began at Supper by Patricia Reilly Giff, which I can't count for the challenge because it was published after the decade of my birth, but I enjoyed the blast from the past. It's a short novel about the Gulf War told in letters from students in Mrs. Clark's class to their former student teacher. I'm also listening to the audiobook of That Summer by Sarah Dessen, simply because I love that book and needed something to have on my phone when I'm out walking and I'm out of podcast episodes. Looking ahead, the next books on my immediate to-read list are Roller Skates by Ruth Sawyer, which is my 1930s pick for Newbery Through the Decades, and The Fantastic Flying Journey by Gerald Durrell, which is another childhood favorite for Old School Kidlit. I'm also probably going to start Murder of a Sweet Old Lady by Denise Swanson, as it has been on my nightstand since my birthday and it is calling to me. 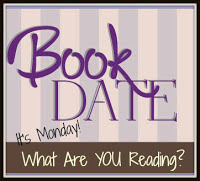 Today I'm linking up with Book Date and Teach Mentor Texts. I also had trouble with The Inquisitor's Tale had have to admit to abandoning it. I will be interested in reading your review because I know many have enjoyed the book (and it was honored!) so I still want to be able to recommend it to students. So, I was OBSESSED with Bunnicula when I was a child - James Howe was my idol! 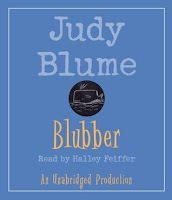 I also grew up with Judy Blume - she just understood young people with such sensitivity and respect. All great books! Wow! You got a huge amount of reading done. I remember liking Blubber when I read it in the misty past. I'm glad it has stood the test of time. Come see my week here. Happy reading! I can see that you had a very productive reading week. I just downloaded The Inquisitor's Tale since I've read so many rave on about it. I just hope my expectations aren't too high now. I am really looking forward to finding Ghost in our library - been reading only rave reviews.